Let’s face it, nobody likes being told, “No.” Human nature tends to mean, we want what we what when we want it. And if pressed hard enough, we can probably come up with 3 or 4 good reasons why we should have it. Even so, anyone who has lived past the age of 2 years old knows it’s not reasonable to think that we can go through life always hearing “yes” to every want, need or desire. At some point in our lives, someone, usually someone who loves us, has told us “no.” This applies to our Heavenly Father as well. 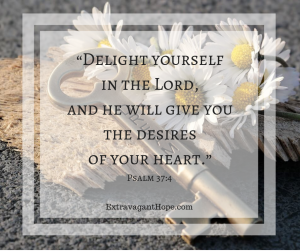 If we stop and think hard enough, we can all probably name a time when our Heavenly Father has told us “no” to something we wanted for our lives. As a parent, there are times when I have to tell my boys, “No” for one reason or another. Sometimes they are OK with it, and other times they are disappointed, angry or sad. More than anything, I want to be a good parent. Among other things, I want to teach my boys obedience, self-control, and right from wrong. I have more life experience and wisdom than they do at their young ages. I have been in their stage of life; in their situation and can predict what may lie ahead for them. I’m able to make the hard decisions for them that may feel painful now, but in the long run will benefit them. They, on the other hand, can only see what’s in front of them today. I deliver encouraging content that will help you find hope when you just can’t seem to recover from hearing The Father say “No”. 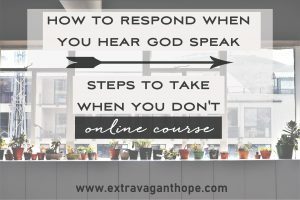 I struggle with hearing “No” from God, I want access to this FREE eCOURSE (video series) right now! When has God said “No” to you? There have been times in my life when God has told me ‘No.” He has told me “No… that relationship will not be restored”. He told me, “No, you will not be able to have children naturally”. Both of these things are good things that I desired for my life. But my Heavenly Father, told me “No”. Have you been there? If you think through your life, when has God said “no” to you? These are times when you know for sure the thing you’ve longed for and prayed for isn’t going to happen. As good as it might be for your life, or for someone else’s life, for whatever reason, it’s not going to happen. That’s what we’re going to talk about in this FREE e-course video series, “How to Respond When You Hear God Speak: Steps to Take When You Don’t”. In my lesson, we’ll talk about our typical reactions when God says “No”. 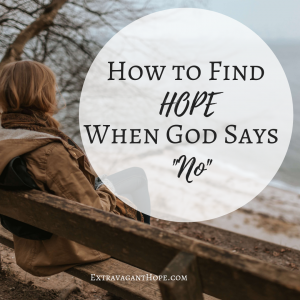 We’ll discuss the extreme disappointment we experience when we ask God for GOOD things, and He still says “No”. 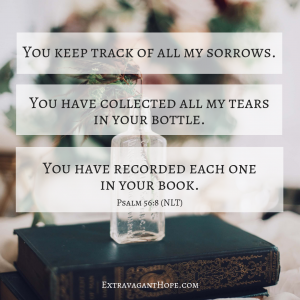 I’ll give you some tools to help you move from despair and disappointment to hope and joy. I hope you’ll join me for the discussion in our FREE e-course video series. 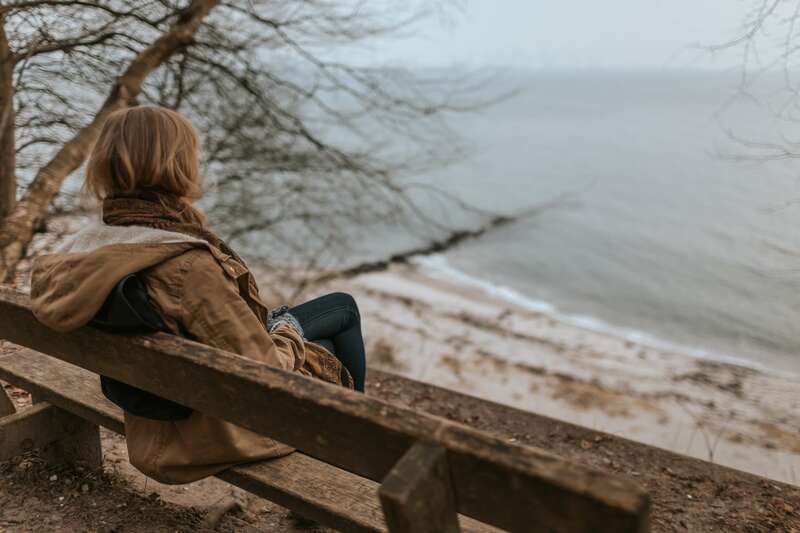 Hear my lesson plus, two other teachings on: “How to Find Direction when God is Silent” and “What to do when God says, “Go“. I can’t wait to see you there. Click the button below for instant access to the e-course! Experiencing a “No” season in your life? Spend some time worshiping to this beautiful song by Shane and Shane with an inspiring message from John Piper included. “So we fix our eyes not on what is seen, but on what is unseen, since what is seen is temporary, but what is unseen is eternal.” 2 Corinthians 4:18. What Is The Purpose In Your Pain? When I turned 40, I finally felt like I had ‘lived some life’ - some good, some bad and some ugly. And I began to experience a renewed relationship with God like never before. Working in ministry at my church, I was thirsty to learn more. I longed for a deeper relationship with Him, and I committed to serving Him until the day I die. 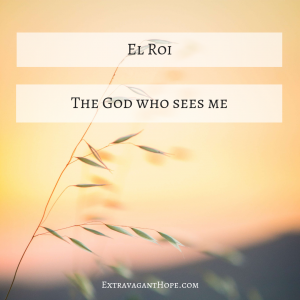 I’m learning more about Him every day, and am eager to share my insights. I believe He has called me to help women better understand what they believe, why they believe it, and how to incorporate their faith into their every day. 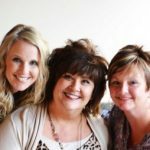 I love helping women gain a deeper understanding of who God is and how he can make a real difference in the lives we live. I want women to experience the life changing hope that comes from a personal, intimate relationship with Jesus. I’m also passionate about my family. My husband of 20 years, who loves me in a way I could have never imagined, and my two sons, who are my joy and my unexpected gifts from God. I hope you will join me on this journey. Together we will gradually move toward deeper understanding of the freedom, joy and hope that only Jesus can bring.